'Which one do you want?' came my husband's usual at-the-restaurant-table question. Only the "what" had been replaced by "which one" and I, armed with the knowledge of his one true love in South Indian cuisine, understood clearly what exactly in the booklet was he referring to. We were sitting in the dining hall of Indo Lankan Food Bar with eyes glued to the menu in our hands and mind lost in yummy musings. 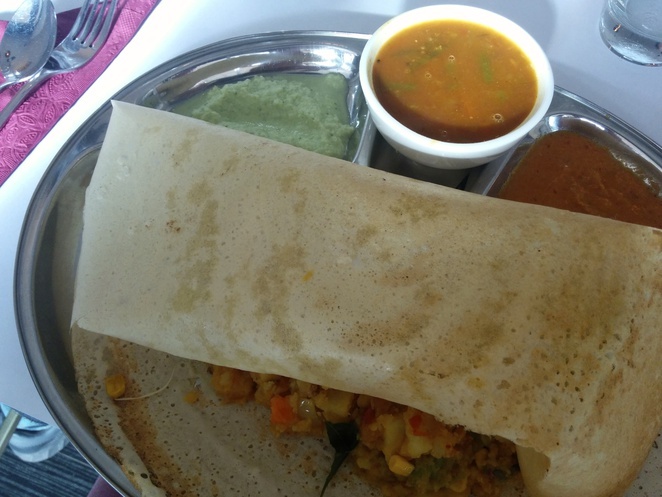 The fixation here was Dosa - the universal South Indian favourite served in the geometrical likeness of a cone, triangle or cylinder (the most common of dosa forms), teamed with a savoury filling, and two or more chutneys. We zeroed in on the veg masala dosa (one with the traditional potato and vegetable filling). From humble beginnings as a thick pancake made from the batter of soaked rice and black gram, Dosa has had a branched evolution, varying in composition and stuffing to the tune of cooking and consuming. 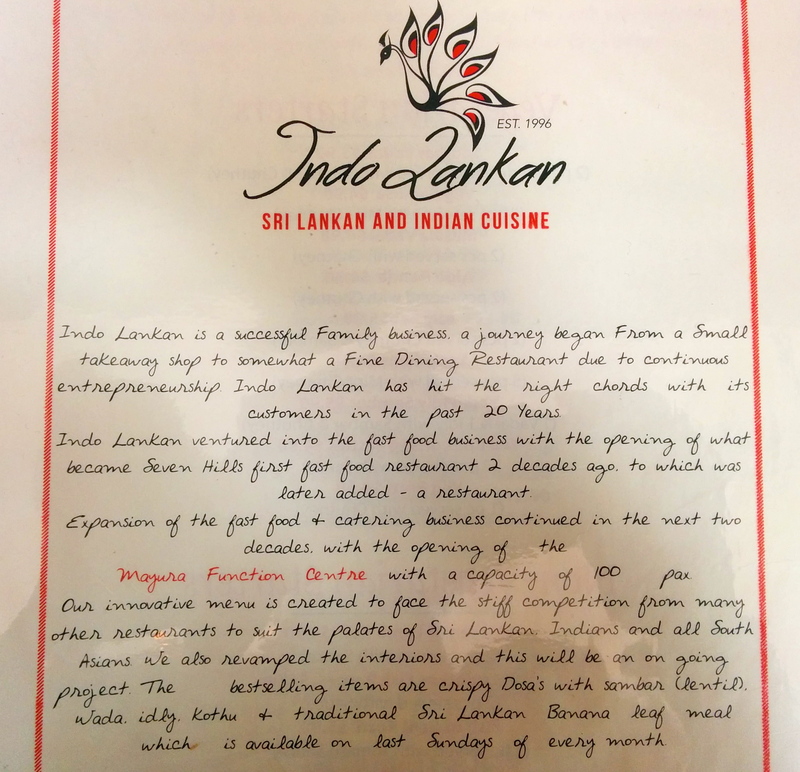 Adhering to such evolutionary standards, Indo Lankan had some non-veg dosa options in the menu. Our second choice was Chicken Pittu Kothu which under the influence of prior recommendations we decided to try for the very first time. 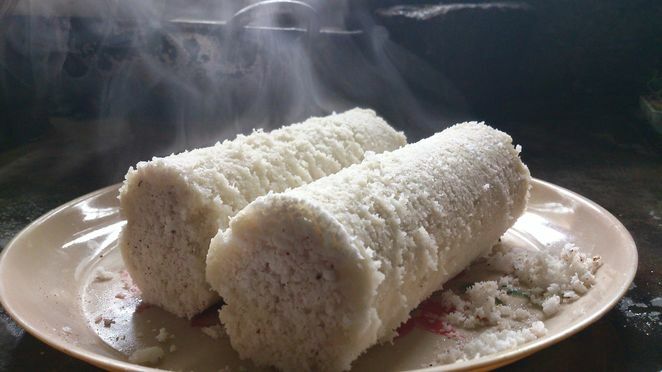 The Pittu/Puttu is prepared by steaming coarsely ground rice with grated coconut in a cylindrical container. Alike Dosa, Pittu has come a long way. At Indo Lankan, the variations were served as veg, egg, lamb, chicken, beef, fish or prawn Pittu Kothu. 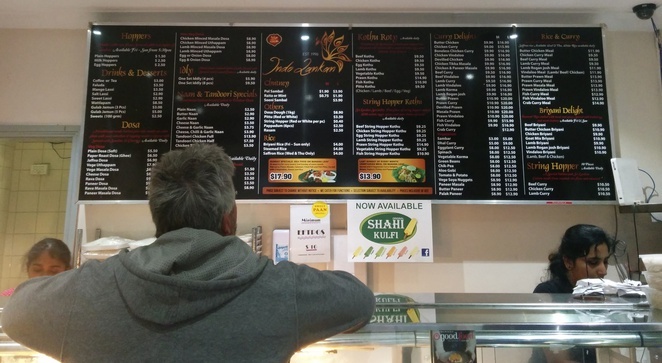 Meanwhile, I could not help observing the takeaway counter. It had quite a customer influx while the dining area in all its neatness and careful decoration was devoid of diners. In my opinion, one reason for this stark difference must have been the dissimilarity in prices of items on the takeaway and the dine-in menu - each item was $2 more on the latter. I always love my dosa thin, crispy and lightly buttered with a bountiful filling. It is a common trait among dosa fans to first test the crispiness by breaking a piece from the side and then dig right in the middle of the crepe to check the amount of filling inside. When our dosas were served, it was a joy excavating into the tunnel like cylindrical crepe and stumbling upon a generously filled centre. How I loved hearing the crack when I dug into my brittle dosa! The veggie filling was as good in taste as it was in proportion. The accompanying dips were a thick sambar (a tangy soup of vegetables, lentil and tamarind) and two chutneys: a green one of mint and coconut and a red one of chilli and coconut. The item was impeccable in its entirety. Under $12 it was a fulfilling brunch/lunch option. The Chicken Pittu Kothu deserved an individual round of appreciation. 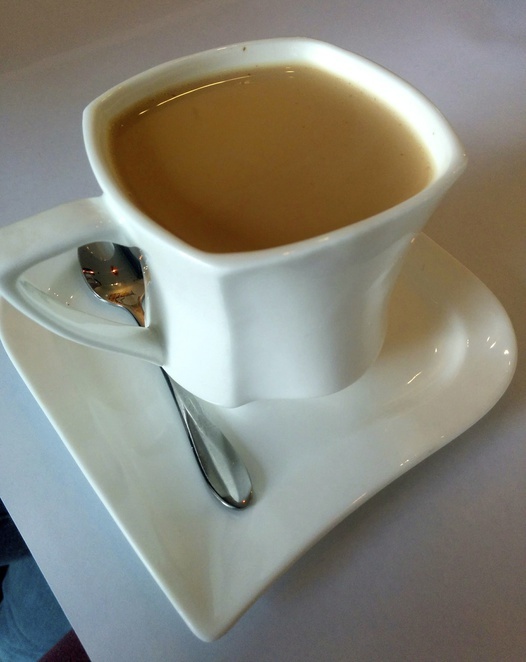 Contrary to our expectations, it wasn't served as a cylindrical block. On further query, we learnt that we would have got the cylinder with a choice of curry had we ordered it from the Pittu (mark the absence of Kothu) section. Well, for the day, cylinder or not, we were happy with the dish. 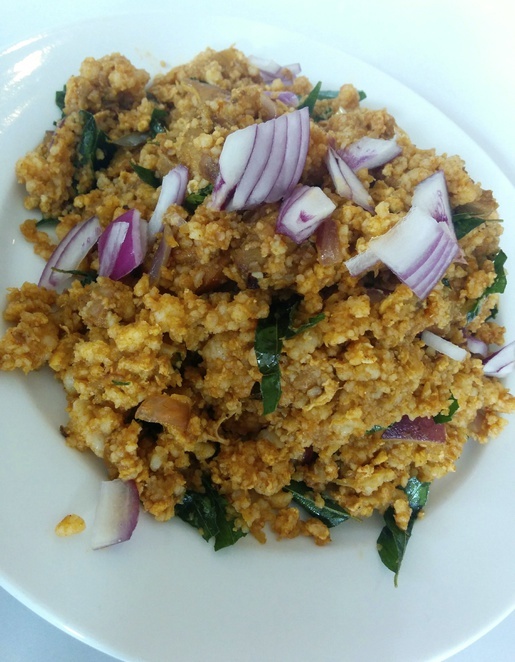 It had been plated up as the Indian counterpart of Chinese fried rice, spiced up ground rice with plenty of chicken chunks, onion and curry leaves. Being in an Indian-Sri Lankan restaurant we couldn't forgo our round of desserts. 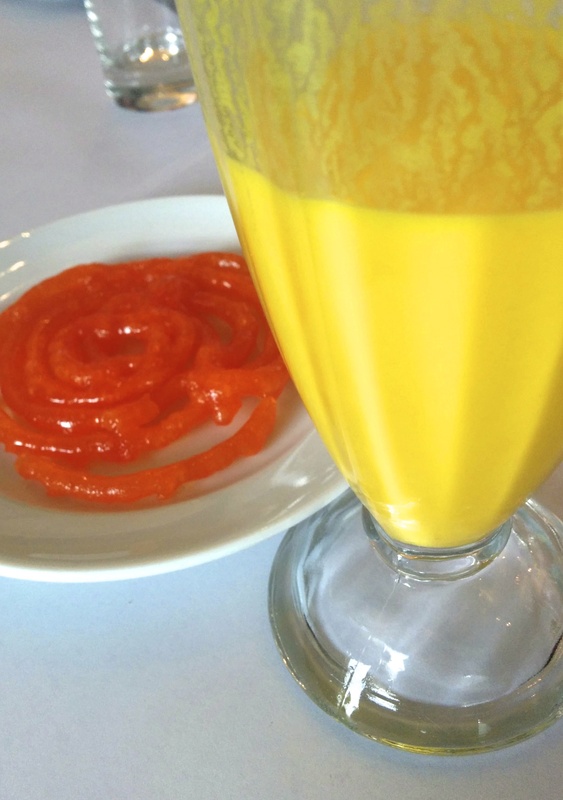 Thus, our attentive sweet waitress took another order for jalebis, gulab jamuns and mango lassi plus a masala tea. 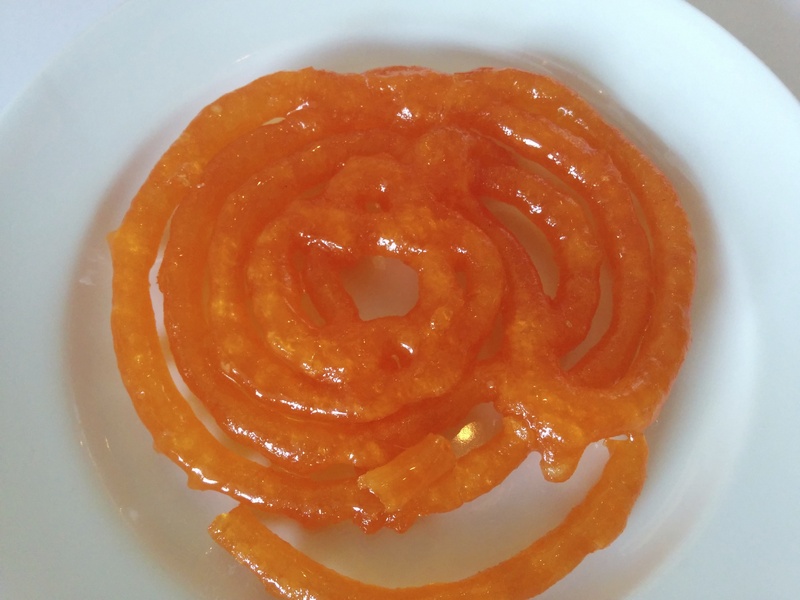 The saffron coloured jalebi, prepared by deep frying plain flour batter and then dipping it in sugar syrup, was warm and crunchy beaming with sweet succulence. 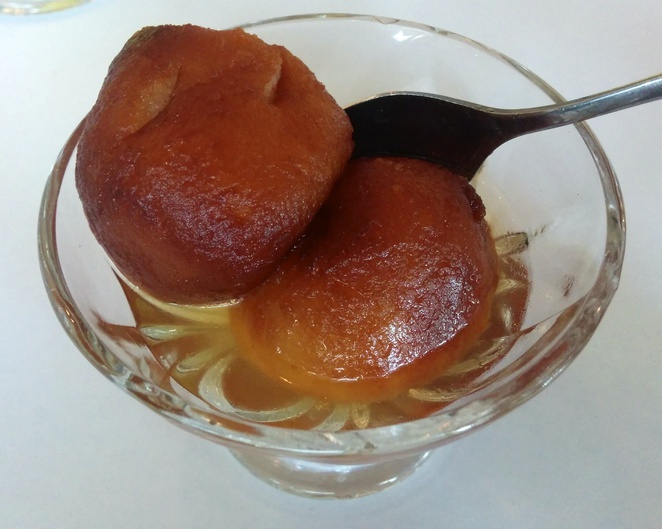 The gulab jamun (made from dried whole milk) was soft and less sweet. The only flaw we found was in the lassi. It was heavily scented but was deficient in the thickness of the curd and the amount of mango pulp which typifies mango lassi. 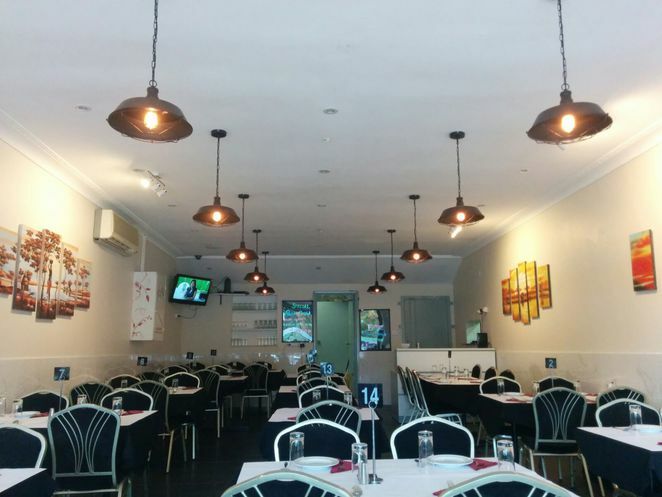 Taking pride in being the first fast food joint of Seven Hills, the restaurant caters to breakfast, lunch and dinner serving the best known South Indian and Sri Lankan delicacies. They are at arm's reach from Seven Hills Station and have a parking lot outside. With the food that we enjoyed on our visit, I can confidently say the restaurant delivers more than discerned from outside. 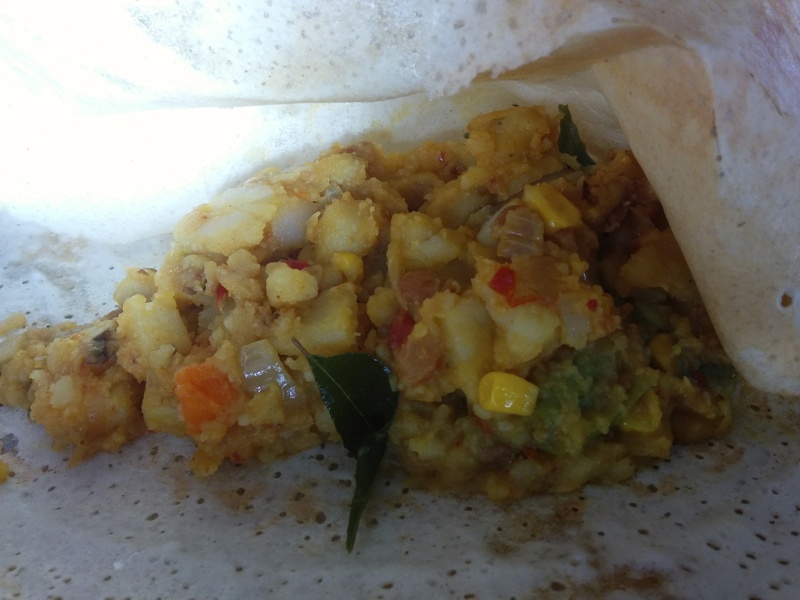 If you love dosa, Indo Lankan will fit precisely into the hollow of your search. Great review; very well rounded. The food looks excellent.